Elizabeth Taylor is an English schoolgirl with big dreams who falls for an unruly thoroughbred horse. 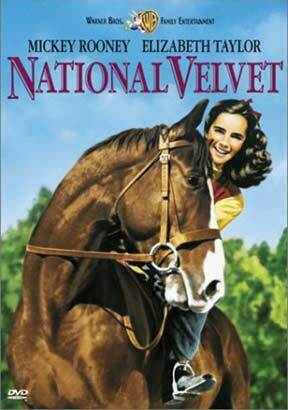 When the horse is raffled off, Velvet holds the winning ticket. With the help of her young friend, she plans to put the horse's jumping talent to the test in the world's most grueling horse race, the Grand National Steeplechase. A tale of family love, friendship, trust, and striving for unreachable goals.